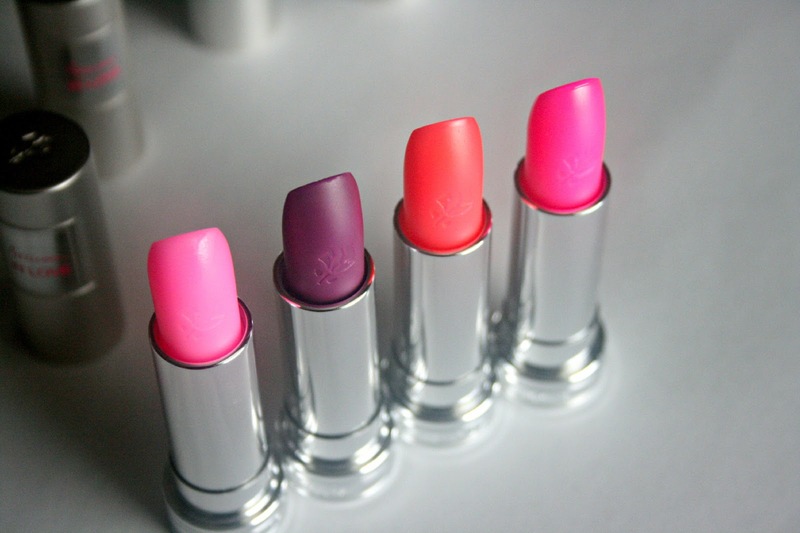 A few pieces from Lancôme's In Love Spring 2013 Collection. 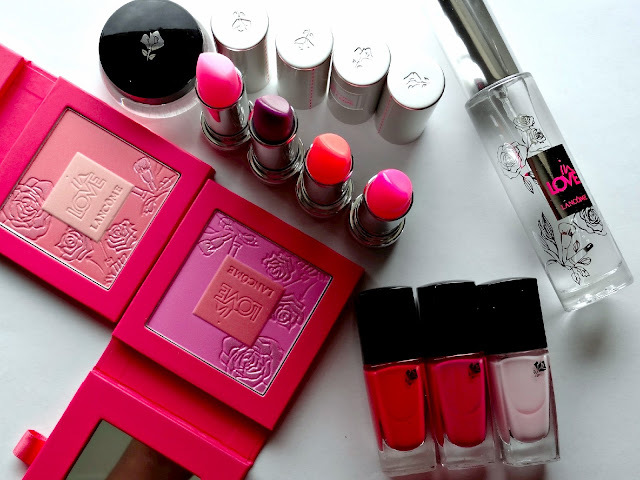 In Love features blushes, nail polishes, eye shadows, kohl pencils and lip balms all in wearable, spring appropriate shades. Blush In Love ($49) in 10 Pêche Joue-Joue, 20 Pommettes D’Amour - A nice mix of matte and slightly shimmery colors that sculpt, add a flush of color and highlight cheekbones. 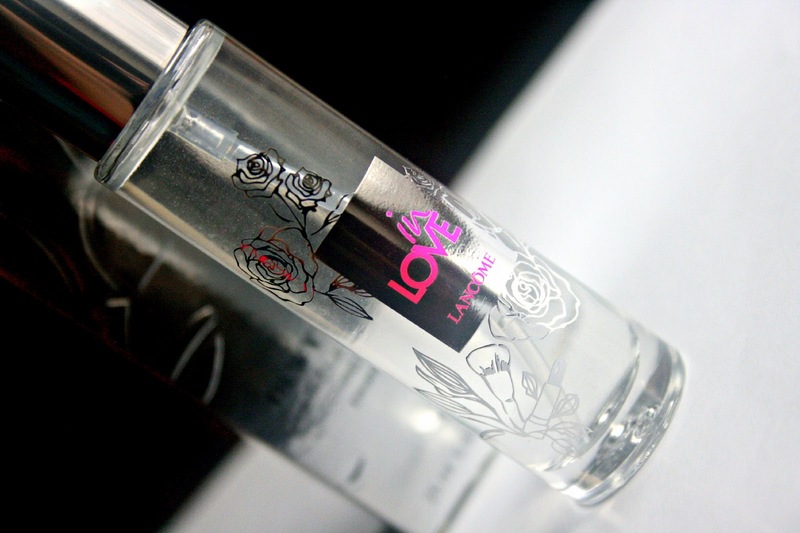 Baume In Love ($26) - Sheer, glossy tinted lip balms that moisturize and add a wash of color. These are extremely sheer but great for a really natural lip. Midnight Rose was the darkest and gives the most natural looking flush of pink on pigmented lips. Dewy Mist ($37) - Luxurious beauty water that adds a little glow back to your complexion. Made from 100% Natural Ingredients and can be used over or under makeup. 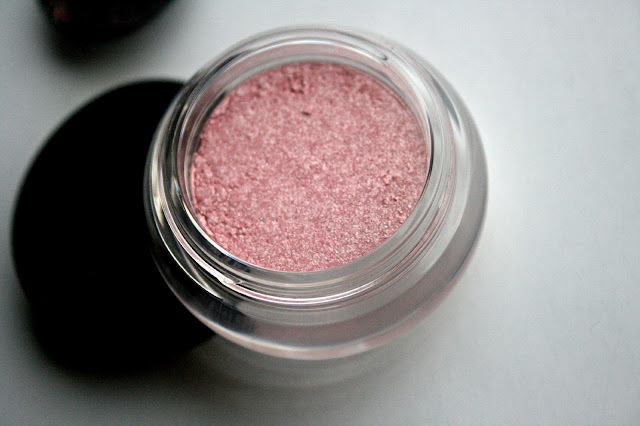 Color Design Infinite 24h Eye Shadow ($24.50) in 200 Perpetual Pink - Mousse like texture and super smooth application! Perpetual Pink is a rather frosty shade on my skintone, but the formula wears amazingly well. Vernis In Love ($15) in 301M Sugar Rose, 335N Rose Macaron, 134B Peach Mélodie - Perfect Spring polishes made in hues to complement the Baume in Love shades! Review, more swatches coming soon! What do you think of Lancôme's In Love Spring 2013 collection?